Please Note: Crew profiles from the 2018 Vic-Maui Crew Bank are no longer being displayed. If you are interested in finding a crew position for the 2020 Vic-Maui, please login to update your profile. If you are new to our crew bank, please submit a new crew profile. Corsair F24 Mk1 - position: everything. Racing: Race2Alaska (inshore, offshore). Conditions: 0-35 knots, ocean swells, waves. J33 - position: headsail trim, pit, navigator, mainsail trim. Racing: buoy, long distance (inshore). Conditions: 0-35 knots. Was on board a dismasting and self-rescue of this boat while sailing in the san juan islands. J109 - position: bow, mast, trim. 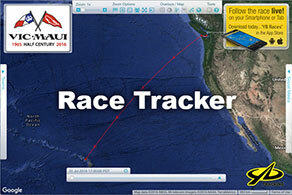 Racing: buoy, long distance (overnight, inshore/around San Juan Islands). Conditions: waves, 0-20 knots. J80 - position: skipper, main trim. Racing: none. Conditions: ocean swells, 25-30 knots. Catalina 38 - position: all around. Racing: osshore, Swiftsure. Conditions: 0-38 knots. Sailing since childhood. ~30,000nm offshore sailing on tall ships. Coastal racing since 2010; foredeck, pit, and trim on an Olsen 30, J30, and J29 in winter and weeknight series and VARC courses. Training for VanIsle 2019 on a Hanse400. Safety At Sea 2018. Comfortable on the water. Not yet seasick. Can cook at an angle. Happy to do race and return or just return - no work or family commitments. References available. I sailed a Lagoon 450 from Hawaii to Victoria with two others, experienced open ocean solo watches and am comfortable at sea. Race on a J-30 out of VRC. Offshore survival 2019. Plans to do Van Isle 360, Swiftsure, Round Patos, Round Saltspring. Interested in the doing the organ offshore and other local races to prepare. I have been sailing for 12 years and racing for the past 5 years. Most of my experience is on 30-45 foot boats in round-the-buoys and local distance races including Southern Straits and Swiftsure. I have also done one Van Isle 360. Positions included bow, pit, and trim. I am keen to get some real blue water ocean sailing experience. My schedule is reasonably flexible and I could do either the race or the delivery home. I've been sailing dinghys and skiffs since 2008; Raced Startboat class 2013-2018, (North Americans 2015); Crewed on Martin 242 and Beneteau 40.7 inshore races since 2011. Most times I work the foredeck on the bigger boats, but am comfortable in other positions as well. Recent races - Round Salt Spring, Round the County 2018. Plans for Southern Straits, Van Isle 360 2019, Oregon Offshore 2020. Offshore Personal Survival 2018, First Aid, IYT bareboat skipper, CYA intermediate cruising, Coastal Navigation. Experienced in boat electrical and electronics systems. Not a pro chef, but can cook in high seas. Cruise Catalina 27s as a skipper year round. Safety at Sea 2-day - October 2018 • Swiftsure 2017, 2018 • Southern Straits 2017, 2018 • International Women's Keelboat Race, NY, 2016 • I have been sailing and racing since I was a kid and I love being on boats. As an adult I have been racing in in-bay series regularly. I race a Martin 242 on Wednesday nights, and I do distance races on a J/109. I rotate through every position on the Martin, and I typically trim on the J/109. I was part of a team of women racing J70s in the International Women's Keelboat Championship in 2016 and we placed 5th. I also have some cruising experience, and have skipped trips up the Sunshine Coast on a Martin 242. I'm quite fit, strong stomached, and not a complainer. I am strong, capable, and competitive - I'd love to come race with you! Many years of racing experience in Resurrection Bay (Seward, Alaska), mostly on vessels in the 35-42 foot range. My primary position has been foredeck, but I am versatile. J-World racing training; part of a 3 man delivery crew for a Wauquiez Pilot Salon 42 from Juneau to Seward, Alaska across the Gulf of Alaska (approximately 800 miles); skippered two week long trips in the BVI; owned a J24 for many years. The Vic-Maui race has always been a dream of mine, and I would love to join a crew! Letters of recommendation available upon request. Intermediate sailing experience. I've sailed a Merit 25 on inland lakes for several years and recently purchased an O'Day 39 that I've sailed for about 1-2 years out of Blaine, WA. I'm looking for more offshore experience and would be interested in crewing for either the race or return trip. I'm in excellent shape and health and am willing to do whatever for the experience. 6'4" tall; 205 lbs. I've been racing dinghy's for 50 years. I crewed on 25 to 28 ft'ers on Lake Okanagan for 10 years, mostly pit and trim. I crewed on a Bennateau 50 that cruised around Vancouver Island. I did the provisioning logistics for a 6 man crew on a 3 week blue water cruise. I'm a fairly good cook with experience cooking at sea. I hold a Yachtmaster Offshore ticket. Professionally I was a Project Manager in the Software Insustry. I'd prefer to do the return delivery but am willing and able to do either leg or both. 8 years sailing experience local to Vancouver and area including; 4 Swiftsures (Rubato Hanse 40) 6 Southern Straits (Rubato Hanse 40, Silik C&C 30, Excalibur Schock 35 (2018 medium course overall winner) Most all VARC races over those years (Regatta and Distance), Round Bowen x 5 , SOAR x 6, 2016 & 2018 RTC. 2013 VI360 (Rubato). WVYC Snowflake series dating back to 2011, TCYC Polar Bear Series for several years. RVYC Wednesday night series for most of 8 years. Main jobs on these boats is Main Sail trim but also includes Head Sail trim and Spinnaker trim but foredeck experience is the least in my toolbelt only because I am used more extensively aft of the mast. I am a 6', 230lb strong trimmer, strong swimmer, good cook, excellent selfless team mate who takes direction well. Keen to join a top boat and top crew for the 2020 Vic-Maui Race! I sailed the 2018 Vic Maui return and had a phenomenal experience, I'm hooked! It was a great 2500nm over 15 days. Other than the Vic Maui return, I have about 7 years of sailing experience and own a 30' Ericson, which I typically single hand. I also sailed the 2018 Swiftsure. I typically cover close to 1000nm each year on our boat and I plan on taking my personal offshore survival course. Capable in any position I am calm, level headed, and easy to get along with. I am familiar with all boat systems, and am mechanically inclined, performing all of my own maintenance including emergency engine repairs. I have navigation experience with charts and GPS based navigation, including offshore weather routing and planning (but I am not an expedition pro!) What I may lack in experience I make up for with enthusiasm and an eagerness to learn. I would be an asset in any position on your boat, and take my fair share of work, including cooking (breakfast is my speciality, and I can reconstitute dehydrated hashbrowns with the best of them.) I am interested in both race crew and delivery crew, and am available for either or both. Novice sailor who is eager to gain offshore experience. Crewed on a 14-day charter vacation out of Split in Croatia, sailed small Pirates on Alta Lake in Whistler, and recently completed the Sail Canada Crew Standard and VHF ROC(M). After over a decade away from sailing, I jumped back in feet first and bought a Beneteau 40 that I hope to race in the Vic-Maui in 2022 with my husband. I'm a fast learner who thrives in challenging environments. I want to crew so that I can learn from a diversity of people. While I don't have an extensive logbook of sailing experience, as an athlete I have decades of experience of working in high-performing and demanding team dynamics.